A very Merry Christmas to you and yours!!!! I LOVE this BLOG! Here's your Stripper's Guide Christmas story for 2010. 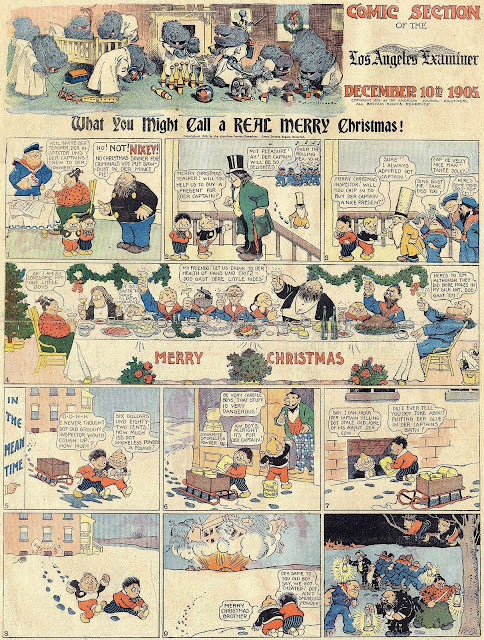 A Christmas Fantasy was the Central Press Association's entry for 1939, sort of an alternate take on Dicken's Christmas Carol story. 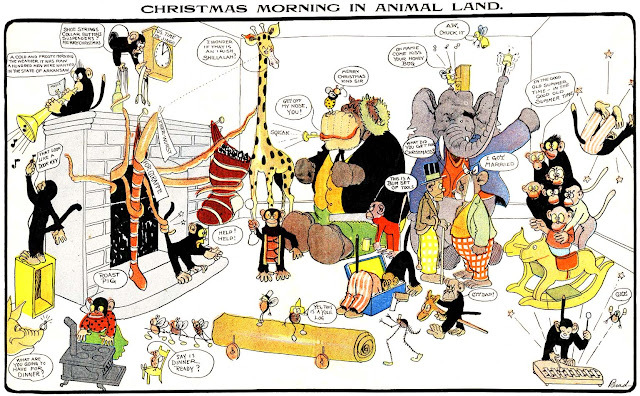 William Sherb provided the art on the CPA Christmas stories for several years, but this is David Orme's only known credit. This story, in 18 installments, will run the rest of the week. If anyone has a tearsheet of episode 9 I could use a good sharp scan of it as I'm missing that one and will have to use a lo-res version from microfilm otherwise. I just found all strips in a scrapbook that belonged to my grandmother, I didn't know what they were, so I Googled an saw your post.